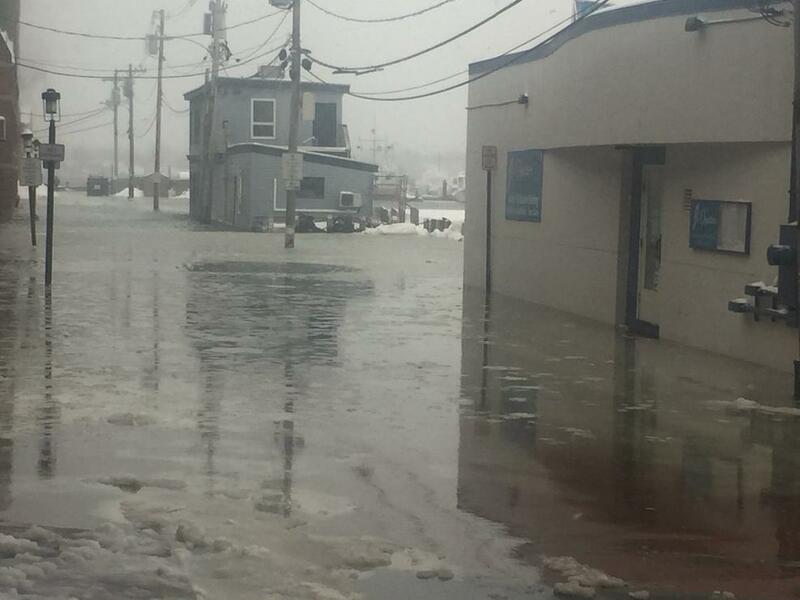 Photo necn/Locals in Portland, Maine, say this is the highest they’ve seen the water since the Patriots Day storm. More thresher sharks were found dead and frozen after becoming stranded along several beaches off the coast of Cape Cod. Gov. Andrew Cuomo declared a state of emergency for New York City on Thursday as heavy snow and powerful winds battered the five boroughs. The "bomb cyclone" snowstorm is expected to get more intense through the afternoon, Cuomo said at a news conference. Mayor Bill de Blasio declared a winter weather emergency for the city, ordering workers to tow any cars that are blocking snow ploughs from clearing city streets. "The situation will deteriorate through the day, and the afternoon and evening rush hour we expect will be worse," the governor said. Blizzard-like conditions roiled public transit and grounded hundreds of flights out of the city on Thursday, officials said. The snowstorm is expected to drop up to 10 inches on New York City and bring wind gusts as strong as 50 MPH. 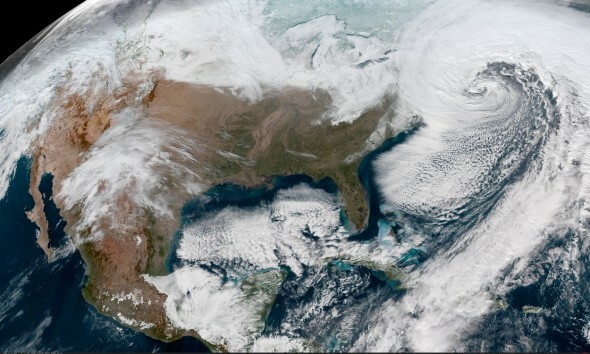 Two thirds of all flights out of the region's three major airports have been canceled, said Rick Cotton, the executive director of the Port Authority of New York and New Jersey, at a news conference Thursday morning. That includes 95 percent of all flights from LaGuardia Airport, 70 percent of flights from Newark Liberty Airport and 27 percent of flights from John F. Kennedy Airport, Cotton said. John F. Kennedy put a temporary suspension on all flights about 11 a.m. and LaGuardia flights were suspended around noon. Arctic air is expected to follow the storm, bringing high temperatures in the teens and wind chills as cold as -20 degrees on Friday and Saturday. Weather that cold makes salt less effective, so plows may not be able to clear roads completely until close to Monday, Sanitation Commissioner Kathryn Garcia said. Gov. Chris Christie on Thursday declared a state of emergency in four counties along the Jersey shore as a blizzard hit the state. In a tweet, the governor said he had made the emergency designation for Cape May, Atlantic, Ocean and Monmouth counties. "Please stay off the roads and stay sheltered and warm," he said. The governor ordered all "non-essential" employees who are not involved in the response to the storm to stay home. A state of emergency was in effect on parts of Maryland's Eastern Shore in response to the coastal winter storm. Gov. Larry Hogan issued the declaration late Wednesday night for the Lower Shore, including Somerset, Wicomico and Worcester counties. Ankle deep snow and wind gusts approaching 50 mph (80 km/h) covered the Ocean City Boardwalk, which was under a blizzard warning Thursday. Parts of Southern Maryland also reported significant snow accumulations. Wind restrictions were put in place Thursday on the Chesapeake Bay Bridge. The Coast Guard restricted ships from entering the Port of Baltimore. Numerous school systems closed throughout the state, including in Baltimore City, where the teachers' union called for closures after reporting heating issues in numerous schools.